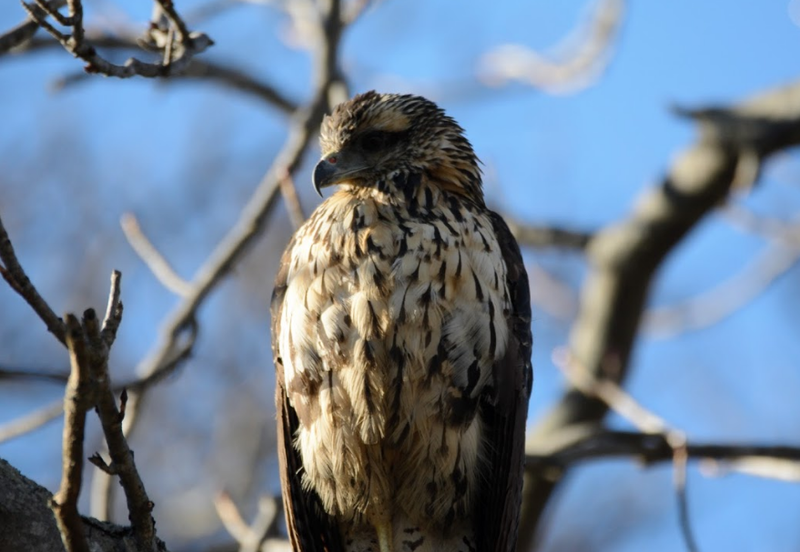 10000 Birds – Maine’s Great Black Hawk, Rescued! A few days before Christmas, I vibrated in the passenger seat of my mother’s car as she turned towards Deering Oaks Park in Portland. The Great Black Hawk – a species with a native range in Mexico to South America – had been spotted in this park for weeks, but not every day. Though I had arrived in Maine nearly a week ago, something kept me from trying for the rare species so far from home. Disappointment that I would miss the bird? Unwillingness to budge from the warmth of a living room fire? But now I did want to see it, badly, and dragged my grandmother and mother along to give it a try as well. Read the entire story on 10000 Birds!